Today is the LAST day to take advantage of The Children’s Place Friends & Family sale! You can save 30% off your total purchase in store or online! This includes the outlet stores! I went to the outlet store yesterday and got my son 4 long-sleeved graphic tees and a long-sleeved button down dress shirt for $19! I bought dress pants, jeans, shirts, and PJS for both of my kids online, too, since they didn’t have the sizes I needed in store. I got 2 pairs of jeans, 2 pairs of dress pants, 3 pairs of PJs, and 4 long-sleeved graphic tees for $75 shipped! Get free shipping when you spend $75 or more or pay a flat rate $5 shipping if your total is less than $75. 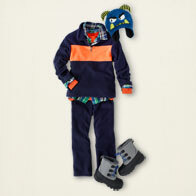 The Children’s Place FREE shipping plus up to 25% off! 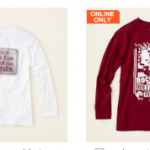 The Children's Place MONSTER Sale plus FREE SHIPPING! 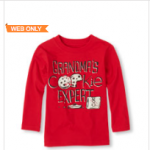 The Children’s Place Holiday sale!